In the last couple of years the prices of 3D printers have been steadily reduced, but their development has mainly concerned FDM 3D printers. 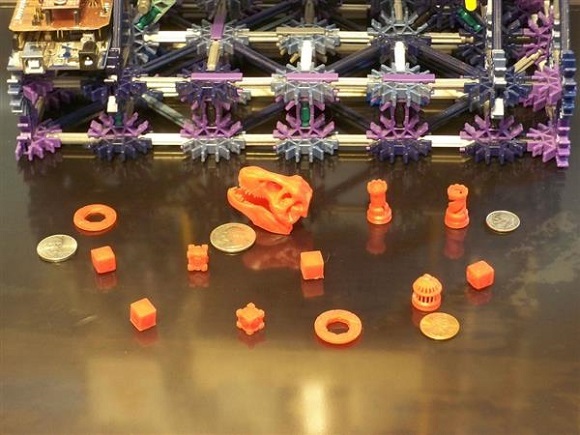 Those who are willing to get machines capable of printing objects of high resolution have to pay thousands of dollars to buy machines that are based on other technologies. However, there is another option – you can develop a machine yourself. One of the Instructables users (matstermind, a young student from Indiana) has succeeded in it. The parts cost him only $60. Apart from them, he used K’nex and Lego parts. His effort resulted in a nice-looking SLA 3D printer that can perform excellent work. 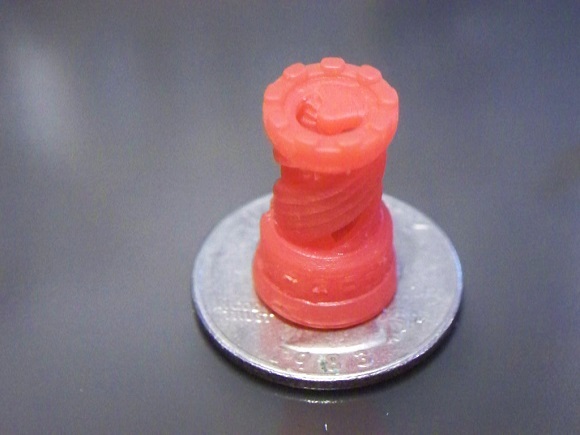 To make it clear, stereolithography (or SLA printing) relies on UV lighting for hardening liquid resin. Luckily SLA 3d printers are not just for commercial use to provide UV light. DLP projectors can do the same for some part of the price. A reliable one will cost you about $50-60. The Chimera 3D printer can suggest you all this. It’s better to call this printer a DLP 3D printer, but not a SLA 3D printer. In one of his interviews the student explained that he had been looking for a simple and cheap, yet high resolution machine for years. 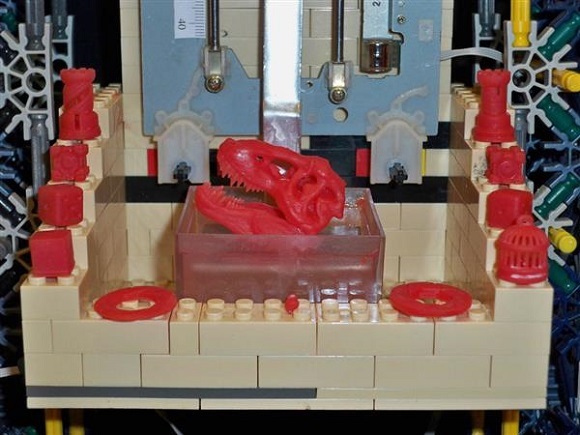 He had partially completed three different 3D printers, but then he got to know DLP stereolithography 3D printers. Finally he had everything to build a well-functioning 3D printer at a suitable price, which can create objects of high quality at less than a hundred dollars. Why is it so cheap to build it? That is mainly because top down DLP 3D printers that possess a resin tank over the building platform possess fewer moving parts. 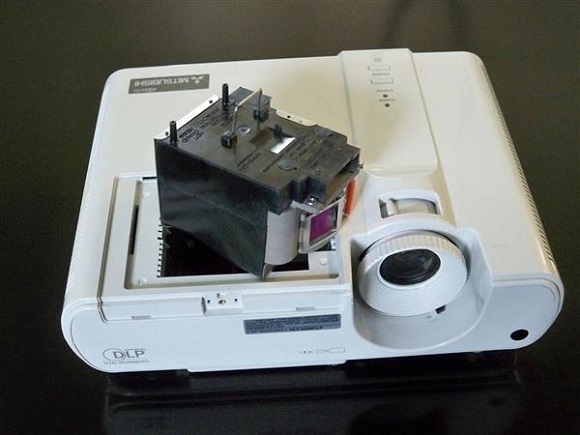 In top down DLP 3D printers of a simple form have just one moving axis – a video projector – and a small amount of electronics. They don’t use a heated or exclusively flat bed. There is nothing wrong with the temperature of the extruder as there is no extruder. The unique name Chimera is connected with a mythological creature that consists of three creatures – and the printer is made up of some firmware, toys and a projector. Moreover the student-prodigy decided to share the designs with the public and provide a detailed manual that can be found at Instructables. 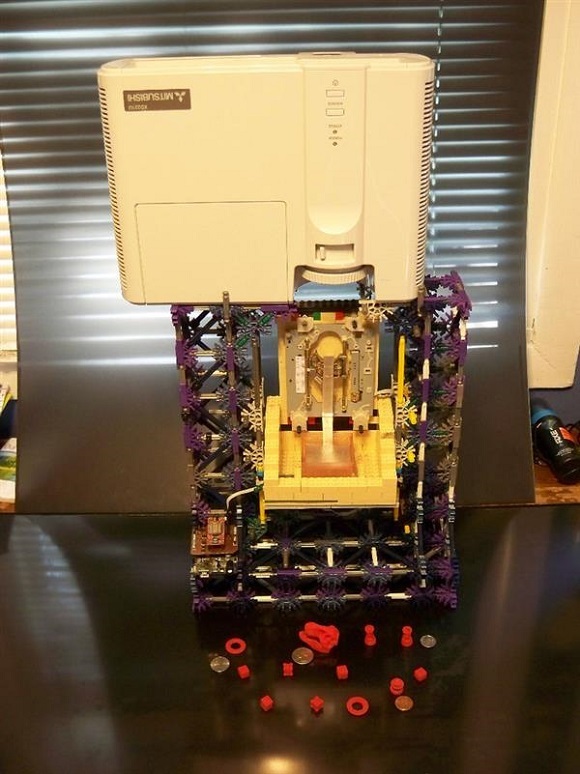 If you would like to try and build the cheapest DLP 3D printer, here is an opportunity. Just bear in mind that this machine is not so easy to build. Beware that UV light may cause burns and blindness, be very careful! If you are determined to try, you will find the tutorial on the Instructables. However you’ve probably guessed that there are some parts missing – computer disc drive laser deck with stepper motor, an Easydriver v.4.4, a DLP projector, the cheaper Arduino UNO, wires and some tools and the possibility to build a circuit board. The most essential part is the projector. On the market there are numerous projectors available nowadays. Some of them are labeled as used with 3D printers – like the Dell 2300, 2400, the Infocus 2104. In fact any DLP projector can perform well if you remember some things while choosing it. Make sure you are buying a DLP projector not a LCD machine. Check if it is with a suitable high resolution. The student used a Mitsubishi XD221u projector having a 1024×768-pixel resolution, so this area in the guideline. To make it perfect for additive manufacturing, key removes the UV filter and modifies the close distances. It’s easy to get the resin cured quickly – you just have to remove the filter in the front part. Be cautious so as not to blind yourself and follow the tutorial. The Z axis is made up of a laser deck assembly of a computer disk drive, which is not unusual for homemade 3D printers. A simple sick aluminum sheet (taken from the back part of the LCD screen) makes up the build platform. Is there anything cheaper? In addition, you can use literally anything as a resin tank, provided it is leak free and waterproof, a bit larger than the build side and doesn’t dissolve contacting the resin. All this is carried inside a simple nice looking body, which is a combination of K’nex and LEGOs. You’re probable interested why the student didn’t use just LEGOs. He explained that LEGOs aren’t stable enough. They can be efficient, but the interlocking bricks aren’t suitable for stable large constructions. 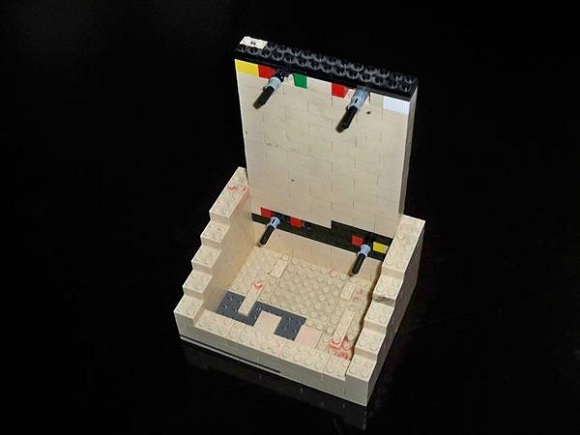 That’s why he tried another toy, which can help build lightweight large strong constructions, possessing the same flexibility for changing the design as the LEGOs do. At least it is suitable aesthetically. The new 3D printer is controlled by Arduino UNO. It is rather powerful to control the axis of this DLP 3D printer. The inventor inscribed a shield for Arduino, which he developed in Cadsoft EAGLE. If you find it difficult to develop it, it’s ok. The scheme is simple and it can be created on the breadboard. If you wish to add some more work into it, an ATMega328p chip can be programmed with the firmware and inscribe an all-in-one board. The designs are to be found in the attached files. The student used the GRBL 0.9i firmware, which, he is sure, most suitable for DIY 3D printer. The open source Creation Workshop software is operated on it. Creation Workshop the only one that provides proper customization options and compatibility. All this may seem simple and a little straightforward, but when you look at the tutorial, you will see a lot more stages that you may find difficult to fulfill. It can also be difficult to test and calibrate the machine. 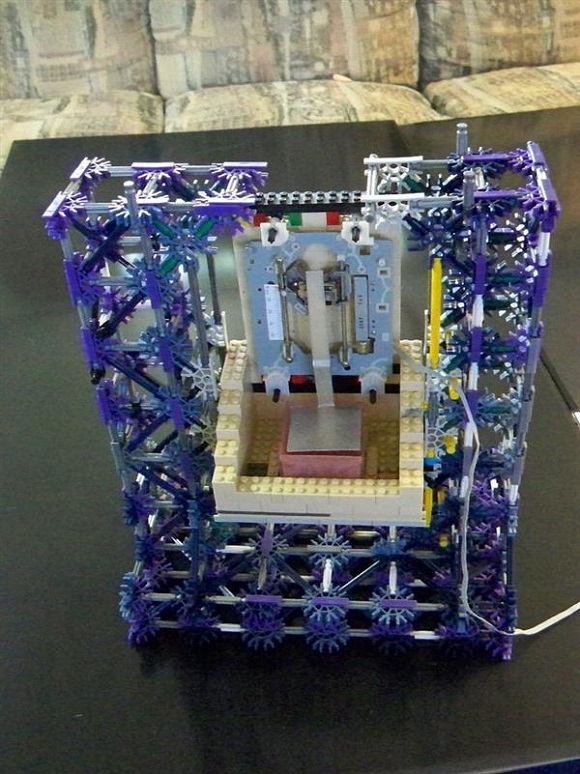 Nevertheless, it is rather easy to build this machine, just keep in mind that it’s a 3D printer, though a DIY one. Remember that it looks good and it’s far cheaper than all those sold in stores. Try it!